Dogs are a man's best friend. They stand by their human companion through thick and thin. Some humans enjoy their dog's company opposed to another human. Since human's do everything with their dog including playing, sleeping, and relaxing. Of course, a dog partakes in munching on human food, only in moderation. One human treat a dog must never have is chocolate. We have all heard this rumor before. The Question Is Why Can't Dogs Have Chocolate? ​Many people believe that a dog can not have chocolate because chocolate contains caffeine. Dogs are typically active creatures. Can you imagine a dog ingesting too much caffeine? Sadly, caffeine is not why dogs are not supposed to eat chocolate. Chocolate does contain small amounts of caffeine. Nothing comparable to drinking a soda or drinking a cup of coffee. 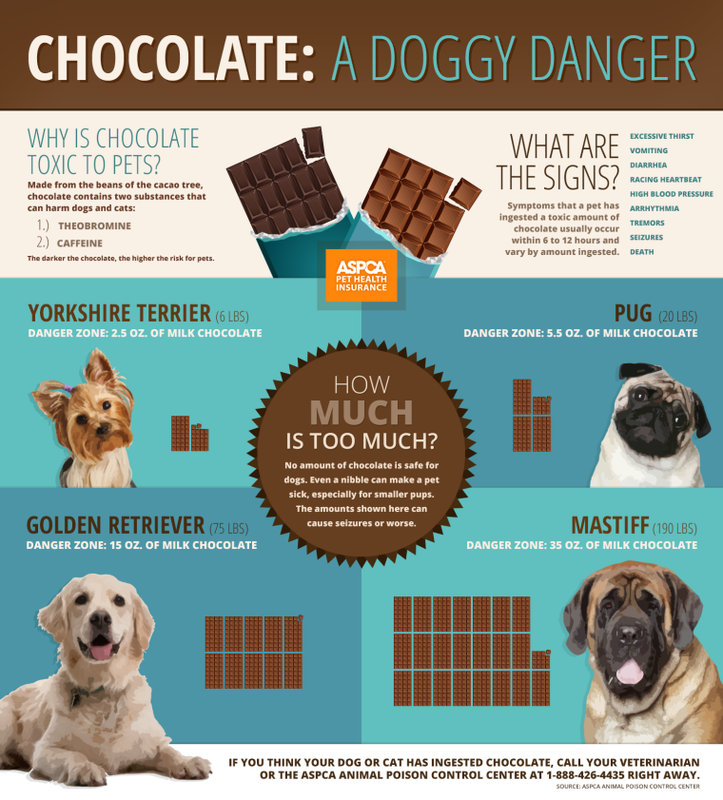 So what is the reason behind chocolate and are canine companions? It actually is a compound that is a stimulant resembling caffeine. ​Let's break it down simply. Chocolate contains an ingredient called cocoa. Cocoa contains a compound substance called theobromine. Theobromine is the culprit. Theobromine is toxic at various doses when given to specific animals. Yes, theobromine is the culprit. 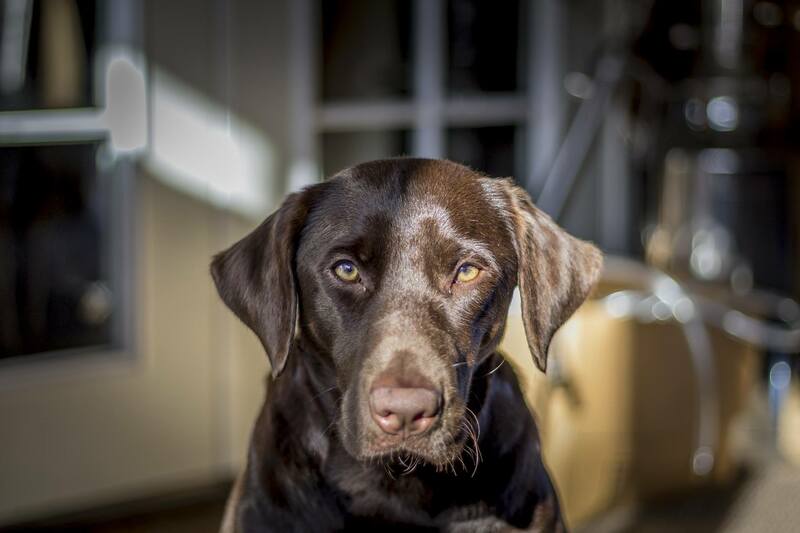 It is the substance in chocolate that can be harmful to your beloved dog. ​It was said that Theobromine is similar to caffiene and it is. It acts as a stimylant in the same way that caffiene does. To be more specific, Theobromine is an alkaloid. Humans have an enzyme that is used to break down the contents of Theobromine so that it doesn't overpower their body. Unfortunately, the problem is that dogs do not have the same enzyme as humans. ​This means that if a dog ingests that certain amount of Theobromine it can be harmful or even kill the dog. 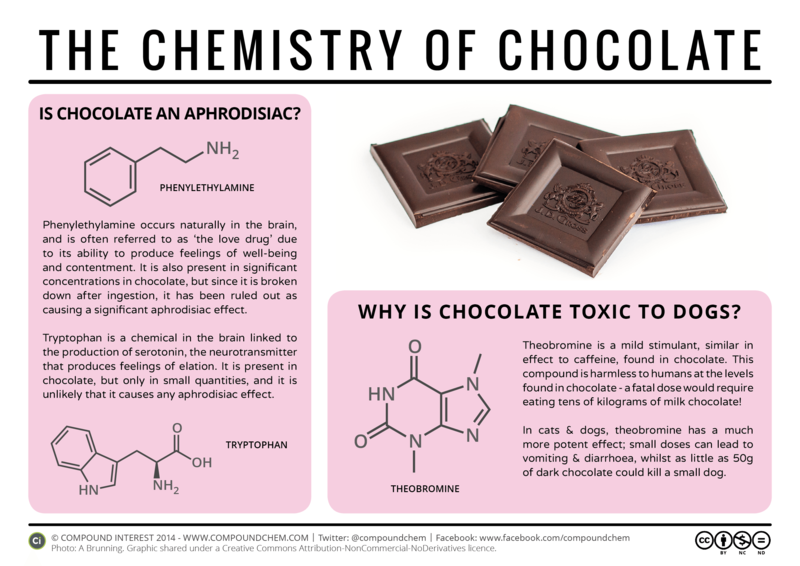 If Theobromine does not get broke down it then goes wild. Meaning it will overpower a canine's central nervous system and the dog's cardiovascular system. Ultimately, this can lead to the dog having high blood pressure, vomiting, seizures, stomach pains and discomfort, dehydration, and death. ​If a dog drop a small piece of his chocolate bar on the floor and his Great Dane engulfs it, does this mean he will die? That is highly doubtful. Do not feed a dog any chocolate to find out the exact toxicity levels of theobromine yet, accidentally crumbs most likely won't affect a dog. ​In general, larger dogs can withstand much more theobromine than small dogs. Dark chocolate contains up to three times as much theobromine than milk chocolate. White chocolate and milk chocolate actually contain the lowest amount of theobromine out of all chocolate. ​The chocolate with the highest amount of toxic theobromine is as follows. These two chocolates must be avoided at all cost. First, baker's chocolate. It contains three times the amount of theobromine than dark chocolate does so, that is a lot. It will definitely cause harm to an animal. The most lethal type of chocolate is cocoa powder, It actually contains twice as much theobromine as baker's chocolate does. ​An average 15-pound dog needs to eat 1 whole pound of milk chocolate to reach a toxic level of theobromine. That does sound like a whole lot. Look at it this way. A family is at the church on Easter Sunday. The poodle gets into the child's Easter basket and eats a dark chocolate easter egg that equals 1.5 pounds of dark chocolate. The family may possibly arrive home to their dog convulsing. If you suspect that any dog has eaten any amount or any type of chocolate. Immediatly contact a vetenarian. The saying is true, it is better safe than sorry.